Disponibilidad: Only 4 left in stock - order soon. Welcome home – open & close the front door! Kids discover more than 50 sounds, songs & phrases! 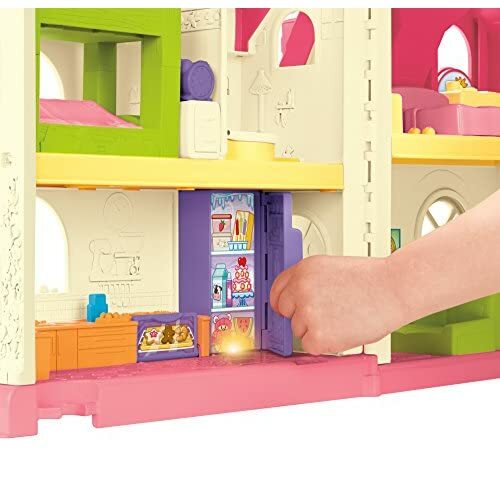 Press on the alarm clock to flip Emma right out of bed & hear fun sounds! Open the oven & refrigerator doors for lights & phrases! Lift the toilet seat for flushing & other silly sounds! 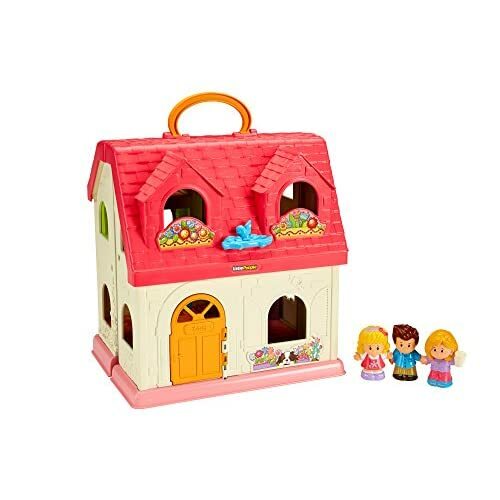 Welcome to the Fisher-Price Little People Surprise & Sounds Home. 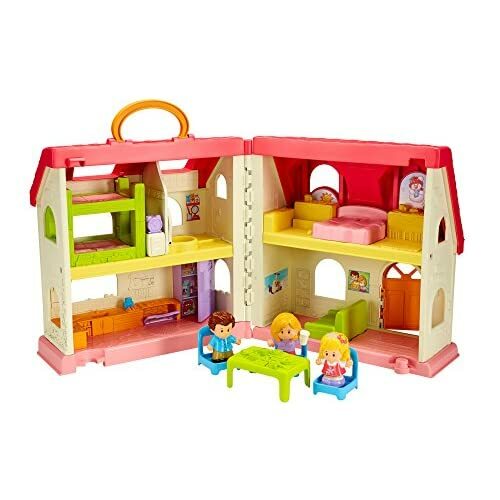 It’s one busy, happy home – and it's filled from floor to ceiling with great learning & fine motor activities for your toddler! The day starts when you press the alarm clock to flip Emma out of bed and hear fun sounds like “Rrring!” and “Time to get out of bed, sleepyhead!” Slide the bluebird to see the kitty pop up in the window on one side – and what the weather’s like on the other. Lift the toilet lid to hear it flush (whoosh!) & activate other silly sounds & phrases. Open the oven & refrigerator doors – see the lights go on & hear fun phrases. Press the music player for 4 fun songs – feel free to dance along! And when it’s time for bed, put Mom, Dad and Emma in their beds, close up the house (everything stores inside) and say “goodnight” until next time. 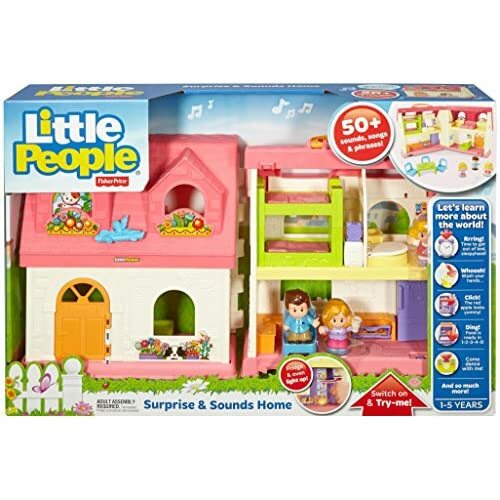 With the Fisher-Price Little People Surprise & Sounds Home, you can bring all the fun, sounds and joy of a real home right to your house. Or grab the handle and take it with you on the go-go-go.